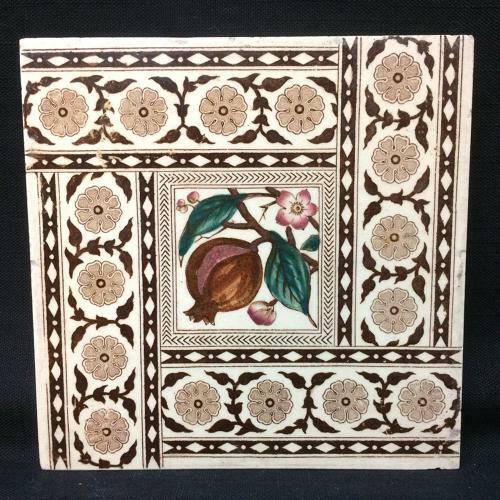 This large 6 " x 6 "tile is transfer printed in dark brown with a light tan background and further enhanced by under the glaze painting in earthy autumn colors. The wonderful pattern features foliage, flowers and Pomegranate fruit bursting at their seams. The tile is in great condition, a few very minor edge flakes.